New Delhi: Stage is set for yet another round of high-decibel debate and confrontation in the Rajya Sabha on Monday as the Muslim Women (Protection of Rights on Marriage) Bill is expected to figure in the proceedings amid no cordial relations established between the treasury bench and the opposition. The draft law is set to come up in Rajya Sabha on the backdrop of political war intensifying between the ruling side and the Congress further especially in the week of 'middleman' Christian Michel reportedly taking the name Congress leader Sonia Gandhi vis-a-vis AgustaWestland chopper scam. The Congress has alleged that the government is misusing the probe agencies. 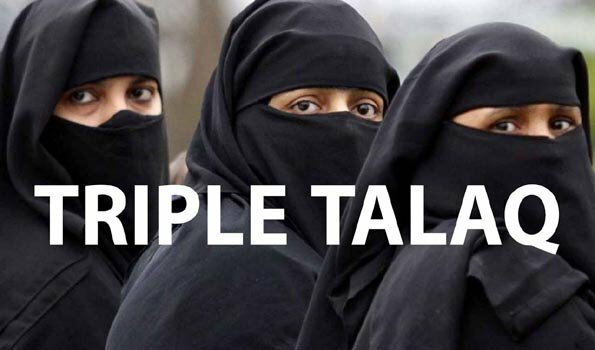 The much talked about draft law banning instant 'Talaq' had faced strong resistance in the Upper House earlier and the government brought in an Ordinance in September this year making the process of Triple Talaq illegal. Senior BJP leader Dr Subramanian Swamy has said while the main opposition Congress and its associates have the right to 'oppose' the draft law, "they cannot stop us from presenting it in the Rajya Sabha". The fresh bill was passed in the Lok Sabha on Thursday with 245 voting in favour and 11 opposing it amid a walkout by the Congress and others.During the prolonged debate, all parties spoke about the evils of instant Triple Talaq. The opposition parties, however, protested against the provision to make instant Triple Talaq a criminal offence. Just before the Bill was taken up for voting, Congress floor leader Mallikarjun Kharge insisted that the draft law had several lapses and it violated the provisions of Article 45.He said the Bill should be sent to a committee of Parliament for further scrutiny and when his demand was rejected by the treasury bench, members of Congress and other parties staged walkout. The fresh bill supersedes the earlier draft law passed in the Lok Sabha on December 27, 2017 and was being scrutinised by the select committee in the Rajya Sabha.Various amendments to the Bill move by Asaduddin Owaisi (AIMIM), N K Premachandran (RSP) and B Mahtab (Biju Janata Dal) were rejected by voting. Replying to the debate, Law Minister Ravi Shankar Prasad accused the opposition of pursuing their vote bank politics vis-a-vis the plight of Muslim Women.He said most participants in the debate spoke from their heart and everyone agreed that the practice of Triple Talaq is 'bad'. ''None of my colleagues said that Triple talaq is a good practice but everyone had some issues and wanted to know why this law is being brought,'' he said, adding he failed to understand this logic.